Yesterday, Mr Chiots and I celebrated our 17 year wedding anniversary – crazy, I know. It doesn’t seem like it’s been that long. We usually aren’t big on celebrating events, so we spent our day working outside and had a dinner harvested from the garden. Mr Chiots did surprise me with a pig statue for the garden. I admired this particular statue at Fieldstone Gardens when we were there last Sunday. He left work early yesterday and picked it up for me. After a little though we decided it should sit right by the front door. It’s a lovely piece and it’s quite perfect since we’re not getting real pigs this year. I do miss having them around, so this beauty makes me smile every time I see it. Do you have any statues in the garden? We finally had a little rain shower move through yesterday evening. The garden has been super dry, I mean super dry. Luckily, my soil retains water really well since I don’t dig or till and I mulch everything. I was worried the rain would miss us completely, but finally a cool rain started to fall. It was the perfect rain, not too hard, not too soft. How’s the rain situation in your garden this spring? I like the zone aspect of permaculture, where you keep things you need close to the house and things you don’t need to access quite as often farther away. As I go about my days, I watch my habits and traffic patterns around the garden. The result is that I visit the back potager and lower gardens much more often than the main edible garden up behind the garage. That’s why I decided to expand the edible garden areas a little around the house. Areas that are difficult to mow are always the first to get changed over from sod to garden space. Areas prone to weed infestation are also first to get switched. This area below the house is south facing and was always a huge pain to mow. Last summer I put down cardboard and covered it with grass clippings. This year I had to dig out a few tenacious weeds, but there weren’t too many. Then I planted it with tomatoes and peppers. I’m thinking about moving my boxwood hedge down here. Eventually it will be filled with perennials, but that won’t happen until the weeds are fully under control. I like to plant beds in annuals for a year or two before planting perennials. It’s much easier to dig out any weed that pop up when the plants aren’t permanent. Annuals also appreciate the structure of freshly worked soil, perennials do better after the soil has settled a bit. 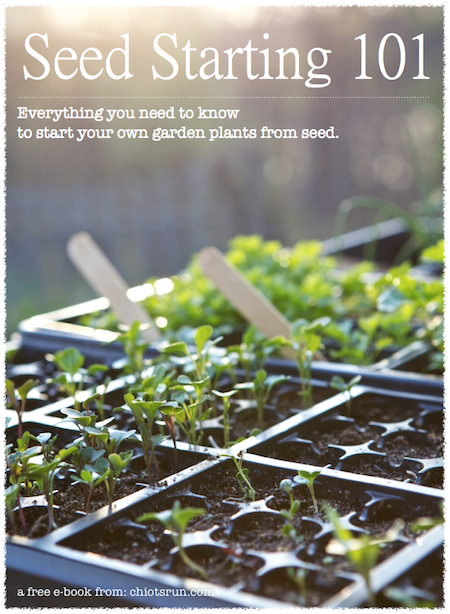 Are you expanding your gardens this year? This past weekend, Mr Chiots and I headed out to Fieldstone Gardens in Vassalboro, Maine. It’s a small greenhouse nearby that I’ve been wanting to go to for quite a while. I really appreciate greenhouses like this one, you can really tell it’s all about gardening, not necessarily about selling plants. The greenhouse is surrounded by beautiful fields with old stone walls. There’s an orchard, ornamental beds filled with lilacs and other perennials. There’s a small greenhouse filled with heat loving plants, a snail topiary in the growing field out back, a beautiful little potting shed store. The pig statue above is now on my list of thing I’d love to have in the garden. Since we’re not getting real pigs this year, one like this would be perfect. I’m so happy to have discovered this beautiful place. Places like this are such an inspiration and I’d much rather spend my gardening cash at little local stores instead of the big box greenhouses. This place is so nice I’ll be taking any gardener that comes to visit up to walk the grounds. 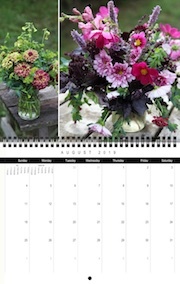 Do you have a great little greenhouse nearby where you can purchase plants and be inspired? This time of year it seems the world outside my windows explode with blooms. The apple trees in the garden is in full bloom, the one right in front of the house is spectacular. I love standing under it, the tree is literally buzzing with pollinators of all shapes and sizes. Birds of all colors are also attracted to its branches as well, I’ve seen seven or eight different varieties of birds this past weekend. In fact there’s an Indigo Bunting that has called it his home, he serenades me in the wee hours of the morning and all throughout the day with his lovely song. As I’ve been driving around this past week I’ve been noticing other apple and crabapple trees. I definitely need to add more flowering trees to the garden. The are wonderful for insects and for our feathered friends. I’ll be researching the best kinds of crabapples for this purpose. There’s only a short window of time to enjoy this beauty, so you can bet I’ll be out front sitting under the apple tree enjoying the petals falling from it like rain as often as I can. Do you have any fruit trees or other blooming trees in your garden? What blooms are you enjoying in your garden this week?